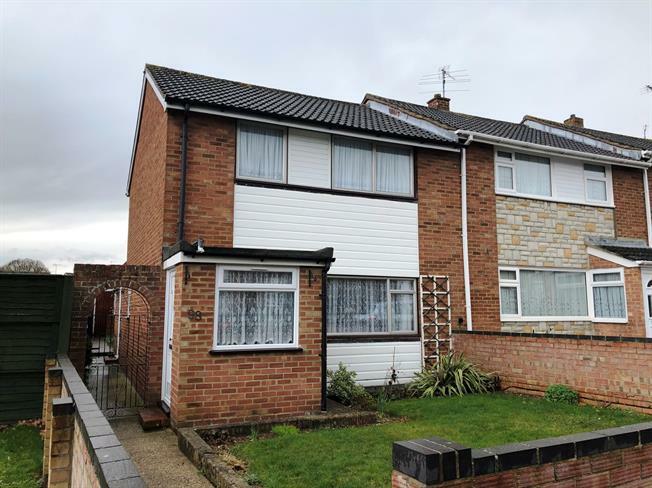 3 Bedroom End of Terrace For Sale in Basingstoke for Guide Price £280,000. An extended three bedroom family home in South Ham. The ground floor offers a entrance porch and hallway that leads to a spacious lounge/dining room with French doors that lead to the large single story extension added additional living space and onto the modern fitted kitchen. Upstairs there are two well sized double bedrooms, a third bedroom with built in storage and a family bathroom. Externally the property benefits from a enclosed rear garden with small outbuilding ideal for storage, a garage located in a nearby block and the potential for driveway parking. Further benefits include gas central heating and double glazing throughout.